"The decision endangers energy security of both Ukraine and the EU." Ukraine and Poland were stunned by the European Commission's decision that allows Gazprom to increase volume of gas supply to Europe bypassing Ukraine, reads a joint statement by the two presidents released on 2 December. "The decision contradicts the policy of sanctions of the EU as it stimulates additional cash inflows to Russia limiting Ukraine's profits from gas transit," the document reads. The Commission's decision on OPAL undermines the strategy of energy security of the EU, constitutes a menace to energy security of Central and Eastern Europe dependent on gas supply from one source and hinders establishment of an efficient Energy Union in Europe aimed to reduce dependence on Russian gas supply, diversify sources and routes of gas supply, as well as maintain common position at negotiations with third countries - suppliers of energy, Poroshenko and Duda warn. "It will undermine competition enhancing the benefits of Russia: market positions of Gazprom, the most dominant player in the market; capacity of Gazprom to manipulate gas prices for certain countries; transit route and source of gas supply," said the statement. 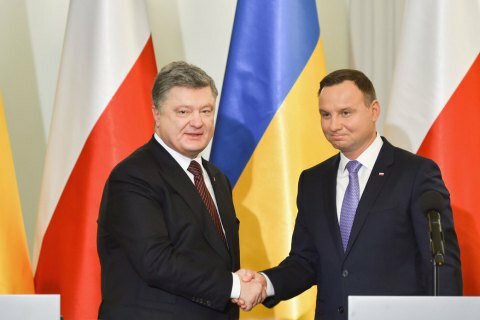 Poroshenko and Duda urged the European Commission to revise its decision on the access of Gazprom to the OPAL pipeline. "We believe this decision should be revised although we understand it may be a difficult and burdensome step," the statement says. On 28 October the European Commission has approved an increase in the use of Gazprom by the OPAL pipeline capacity, which brings Nord Stream gas pipeline system closer to Central and Western Europe. Initially, Gazprom could use 50% of OPAL capacity, but the commission decided that the company will be able to participate in auctions for pumping 7.7-10.2 billion cubic meters, i.e. use an extra 21.4-28.3% of OPAL's capacity. The access to OPAL will allow supply Russian gas to Central Europe in bypass of Ukraine. Ukraine has agreed to hold further talks with the UE about this decision. If the negotiations on the political level fail, Naftogaz said it could file a claim against the European Commission.